In Rainbow Rowell's Fangirl, Cath is a Simon Snow fan. Okay, the whole world is a Simon Snow fan, but for Cath, being a fan is her life - and she's really good at it. She and her twin sister, Wren, ensconced themselves in the Simon Snow series when they were just kids; it's what got them through their mother leaving. Cath's sister has mostly grown away from fandom, but Cath can't let go. She doesn't want to. Now that they're going to college, Wren has told Cath she doesn't want to be roommates. Cath is on her own, completely outside of her comfort zone. She's got a surly roommate with a charming, always-around boyfriend, a fiction-writing professor who thinks fan fiction is the end of the civilized world, a handsome classmate who only wants to talk about words ... And she can't stop worrying about her dad, who's loving and fragile and has never really been alone. There was a boy in her room. Cath looked up at the number painted on the door, then down at the room assignment in her hand. This was definitely room 913, but maybe it wasn't Pound Hallall these dormitories looked alike, like public housing towers for the elderly. Maybe Cath should try to catch her dad before he brought up the rest of her boxes. "You must be Cather," the boy said, grinning and holding out his hand. This was a mistakethis had to be a mistake. She knew that Pound was a co-ed dorm. Is there such a thing as co-ed rooms? The boy took the box out of her hands and set it on an empty bed. The bed on the other side of the room was already covered with clothes and boxes. Cath is a character many readers can empathize with. These include not just those who, like her, feel like their most authentic selves reside online, but also anyone who has felt like an outsider when thrust into a new situation. (Reviewed by Norah Piehl). Starred Review. 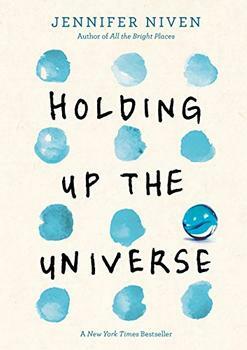 A funny and tender coming-of-age story that's also the story of a writer finding her voice...touching and utterly real. Starred Review. The plot is multilayered and filled with complex subjects handled in a realistic manner, and the writing effortlessly and seamlessly weaves these threads together. Gr. 9 & up. This book is cute, funny, relate-able and will have you shipping two characters like crazy! In Fangirl, Cath's story is interspersed with snippets of her fan fiction (or "fanfic") starring characters who, in Cath's world, are as well known as Harry Potter is in ours. This hugely popular (primarily online) genre of amateur writing is inspired by existing fictional characters, settings, and themes. 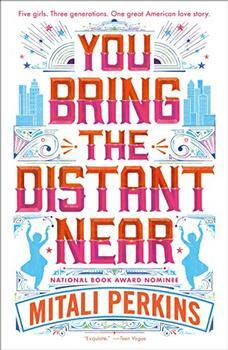 This elegant young adult novel captures the immigrant experience for one Indian-American family with humor and heart.